Our black lager pours onyx with a pale tan head, tantalizes taste buds with faint traces of stony minerality followed by bold flavors of baker’s chocolate. Just as those sensations reach their peak, a bone-dry finish cleanses the palate, leaving you eager to go back for more. Click here to learn more about The Exciseman. Succulent grilled meats are perfectly suited for The Exciseman. It’s roast character matches the flavor of the charred protein while its crisp finishes knifes through unctuous fat. The Exciseman comes and goes, showing up when we least expect it, but we’re always glad when he drops in. The Harlot is crisp, light and easy-drinking. Straddling the (non-existent) border of Belgium and the Czech Republic, it combines a Pilsner-like base-recipe with Belgian yeast to create a versatile beer with a light body and elegant, floral hop character. Click here to learn more about The Harlot. The Harlot pairs well with a wide variety of foods, but if we had to pick a singularly perfect pairing, it would be a second glass of The Harlot. The Harlot is a year-round staple in our tasting room. A celebration of roasted barley, The Pugilist is nearly black in color. Our dry stout is sessionably low in alcohol, but chock full of delightful aromatics and flavor nuances that include hop-bitterness and a slight touch of acidity, both of which provide contrast to the beer’s big, roast-heavy character. We named our dry stout The Pugilist but we’re not ones to provoke a tussle, so we’ll leave this pairing up to the Food Fighters. The Pugilist is a mainstay of our tasting room. The Pugilist landed a convincing victory at the 2014 World Beer Cup, where it won a silver medal in the Classic Irish-style Dry Stout category. He was also named among the best stouts in the world under 8% by Paste Magazine (#19 to be exact) and earned a 91-point score from Craft Beer & Brewing Magazine. The Pupil is a smooth, medium-bodied, pleasantly dry IPA with forward aromas and flavor evocative of tropical fruit. Notes of guava and mango are most commonly detected by connoisseurs of this gently bittered beer, a crowd-favorite and one of our flagship hoppy creations since day one. When we drink The Pupil we are reminded of our days at the old schoolyard, and head to a local spot to enjoy a modern-rendition of the schoolhouse classic: grilled cheese and tomato soup. The Pupil is a mainstay in our tasting room and is brewed year-round. The Pupil’s many accolades include wins at the Great American Beer Festival (bronze: International-style Pale Ale, 2014), Los Angeles Beer Week Meeting of the Guilds (best beer of the day, 2014), Los Angeles IPA Festival (people’s choice, 2013), The Bistro’s IPA Festival (silver medal, 2013), Blind Lady Ale House’s Blind IPA Challenge (San Diego’s best, 2013), Beerfish’s Blind IPA Challenge (2019), earning an 89-point score from Craft Beer & Brewing Magazine, being named among the 50 Best IPAs in America by DRAFT Magazine (#36 to be exact), and being voted the best IPA in San Diego County by readers of the San Diego Union-Tribune. The Swindler uses his inherent charms to steal his way into peoples’ hearts. Those natural assets were imprinted over time spent in California wine barrels and include restrained tartness, quaffable body and light effervescence, but of all his enviable traits, this silver-tongued matchstick man boasts an impressive balance of simplicity and rarefaction. With an almost champagne-like quality, The Swindler pairs well with a variety of steamed, poached and raw shellfish served with a spritz of fresh lemon juice. The Swindler is currently available in 500-milliliter bottles in our tasting room as well as finer bars and bottle shops throughout San Diego County. The Swindler’s accolades include being named one of the Best 18 Beers of 2018 by Craft Beer & Brewing Magazine behind a 99-point rating from that publication, earning a “Highly Recommended” score from All About Beer Magazine and an “Outstanding” rating from Celebrator Beer News. The Coachman is a session IPA that packs intense hop presence despite its low-alcohol content. Perfect for indulgence over prolonged periods of merriment, it exhibits evergreen hoppiness and restrained bitterness evocative of lemon rind, all delivered in a crisp, clean package. We find The Coachman’s light body and palate-resetting hop bite make it a perfect counterpoint to fried, salty pub fare such as fish and chips. The Coachman is a year-round beer. We were proud to collect a gold medal for in the Session India Pale Ale category at the Great American Beer Festival in 2018 and 2015, a gold medal at the 2016 San Diego International Beer Festival and have The Coachman named among the 52 Best Session IPAs in the world by Paste Magazine (#7 to be exact). This New World take on the lowest-alcohol variety of monastic, European abbey ales is crafted to be highly drinkable and light in body, but big on floral and spice character imparted by our house Belgian yeast strain. The Damsel emulates beers brewed by monks as a means of (delicious) sustenance. Click here to learn more about The Damsel. With pronounced floral esters, The Damsel pairs nicely with a variety of creamy and funky cow’s and goat’s milks cheeses. The Damsel often falls victim to unfortunate circumstances, but we always come to her eventual rescue and get her back to our tasting room. The Damsel’s accolades include a silver medal awarded in the Belgian-style Pale Ale category at the 2018 San Diego International Beer Festival. Rather than assault the senses, The Highwayman takes over imbibers’ palates with finesse, engaging the olfactory with a bouquet blending barnyard, horse-stable and citrus orchards. Those evocative scents are followed on the taste buds by simultaneously fruity, vinous, spicy flavors punctuated by earthy funk imparted by a slow-burning strain of Brettanomyces. Click here to learn more about The Highwayman. The zestiness and Brett-borne dryness of The Highwayman initially enhance the spice of light Thai and Indian curries before helping to reset one’s taste buds for the next burst of heat. The Highwayman is currently available in 500-milliliter bottles and on-tap, exclusively in our tasting room while supplies last. The Apprentice is dry, medium-bodied, exceptionally hoppy IPA leading with assertive bitterness. Flavors of pine and bitter citrus fruit come strong, accented by grapefruit citrus undertones which accent this delectable beer’s dry finish. For The Apprentice, we sought pairing expertise from Chef Adam Dulye, beer-and-food guru and exec chef for the Brewers Association, who synced our IPA with leg and loin confit, potato gnocchi, green garlic and rucola. The Apprentice arrives in our tasting room with the onset of each New Year, hanging around from January and into the spring. The Apprentice has numerous awards to its name, including a silver medal in the American Strong-style Pale Ale category at the 2013 San Diego International Beer Festival and an 89-point score from Craft Beer & Brewing Magazine. The Filly is our unfiltered, fluffy-headed Belgian witbier (AKA: white ale). Coriander and a blend of three different citrus peels—lemon, orange and grapefruit—combine to create a bright, earthy tapestry of flavors delivered via a beer that coats the taste-buds while offering refreshing effervescence. The Filly’s myriad citrus notes and fruity yeast esters help it to pair with a variety of citrus-cured seafood dishes such as crudos and ceviches. The Filly rides into our tasting room during the warmer spring and summer months. Don’t let the overtly off-putting nature of The Shrew scare you away. Beneath her shy, fiercely defensive exterior awaits a soft, exotic taste experience replete with citrus-like acidity and spice from our house blend of funk-inducing microorganisms. She may be small in stature, but this recluse cuts an imposing figure. Though not likely to be caught dining out, The Shrew’s funk pairs well with that of washed-rind cheeses. The Shrew is an extremely rare visitor to Societe’s tasting room. The Spelunker is a brown ale with a light yet deliciously discernable hop profile that we brew each autumn in support of Pints for Prostates, a non-profit organization committed to raising awareness about prostate cancer and encouraging beer lovers to get checked (or as we put it “get spelunked”) on a regular basis to catch this scourge in its early stages. With its light roastiness and balancing hop backbone, The Spelunker goes perfectly with slow-cooked red meat dishes such as prime rib and pot roast. Look for The Spelunker to mine his way onto our beer board for his annual visit (like the one you can make with your proctologist) come the fall. The Dandy is a balanced IPA with a slight malt presence that accentuates moderate hop bitterness. Flavors and aromas of grapefruit, citrus and peppery hops intermingle against an understated sweet-malt character followed by a dry bitterness in the finish. When we drink The Dandy, we take after Desperate Dan and enjoy our beer alongside a fine meat pie. The Dandy is an occasional visitor to our taps, typically arriving in the spring and strutting off in the summertime. The Debutante is an amber-hued, medium-bodied Belgian ale rife with tantalizing baking spice aromatics. Flavors of caramel and toasted sugar present against a smooth, dry backdrop devoid of fruity esters typically encountered in Belgian-style beers. The Debutante celebrated its coming-out party when we first came into existence and has stuck around ever since. The Malingerer is an enigma developed to solve a riddle; a gluten-free beer aged in wine barrels and rested on raspberries in an effort to provide a Feral ale for individuals of all dietary restrictions to enjoy. The result is a low-alcohol, intensely flavored, tart ale that all can enjoy without the threat of repercussions. Citric acidity and balancing raspberry sweetness make The Malingerer a spectacular pairing with freshly shucked oysters dressed with a classic red wine mignonette. The Malingerer is currently sold out, but is plotting its eventual return to our tasting room. The Volcanist is the hoppiest member of our family of stouts. Crafted in the American style, it delivers all of the deep, roasty, chocolaty flavors one desires from a stout, but with bright, piney highlights brought on by the addition of Cascade hops. All the while, the beer remains silken in texture and remarkably balanced. When we indulge in The Volcanist it inspires us to take that indulgence to the next level. This beer is tremendous paired with nearly any chocolate- or coffee-based desserts. The hoppiness of The Volcanist helps us bridge the gap from summer to winter. The first-ever batch of The Volcanist took a bronze medal in the American Stout category at the 2016 Great American Beer Festival, and the following year, a subsequent batch earned Standout Beer honors at the 2017 Great American Beer Festival from Paste Magazine. The Bellowsman is brewed with both oak- and cherrywood-smoked malts to impart subtle yet definable smoke characteristics, but the beauty of this warming stout lies in its restraint. While the woody essence of smoke is present in every sip, the beer itself is crisp and dry. When drinking The Bellowsman we look to find outdoorsy harmony with those smoked malts, and that means one thing: barbeque. Like a cloud of smoke, The Bellowsman wafts into our tasting room as fall fades to winter. The Highbinder derives the bulk of its fruity front-end flavors from raspberries, while gaining much of its complexity and tannic back-end character from the wine barrels in which it is aged. Subtle yet refined, balanced and drinkable, this corrupt politico makes an art of winning over the masses. Click here to learn more about The Highbinder. With its forward raspberry essence, The Highbinder pairs well with summery salads stocked with fruits and goat cheese as well as berry-studded bakery offerings. The Highbinder is currently available in 500-milliliter bottles, exclusively in our tasting room while supplies last. The Highbinder’s accolades include being named one of the Top 25 Beers of 2017 with a 92-point from Wine Enthusiast Magazine, being named one of the best beers of 2018 in San Diego Magazine, and being included among the world’s Best Sour Beers with a 90-point score from Craft Beer & Brewing Magazine. The Madam is a dangerously deceptive, Belgian golden strong ale that’s medium-bodied yet crisp and light on the palate. Dry and luxurious, it balances subtle sweetness with hop-driven fruitiness and yeast-borne spice. The Madam evokes memories of San Diego’s most famous madam, Ida Bailey. who’d likely enjoy this quaff with traditional American cuisine from one of the historic parlors in the Stingaree. The Madam is a regular yet less-predictable visitor to our tasting room. The Publican is an IPA that is highly aromatic, and finishes crisp and dry. Its subdued malt-profile and lower alcohol provide a showcase for the aromas and flavors of myriad citrusy American hops. Brewed in honor of San Diego brewing contemporary, Tom Nickel, it’s a beer you can (and will want to) enjoy glass after glass of. When we are drinking The Publican, we enjoy this traditional San Diego pub-style beer with the traditional San Diego pub food, the fish taco. The Publican spends the hot, summer months for which he is perfectly suited in our tasting room. The Scrapper is a dark, hoppy beer with mild bitterness balanced against smooth, roasted notes. The American hops bring forth IPA citrus character balanced by nutty, chocolaty flavors from deeply kilned malts, creating a depth of flavor unlike any you would expect from a traditional dark beer. When we drink the Scrapper, we enjoy it alongside any dish where the preparation calls for the use of our favorite kitchen utensil, the food scraper. The Scrapper fights its way on-tap now and then, most often claiming victory during chillier months. When we drink The Butcher we indulge our inner-beasts by cranking up the death-metal and breaking out the boudin noir. We bottled this beer once in 2016 (it was our brewery’s 666th batch of beer), but it can be had on draft 365 days a year in our tasting room. The Butcher garnered a gold medal in the imperial stout category at the 2013 San Diego International Beer Festival and a 92-point score from Craft Beer & Brewing Magazine. The Jackeroo spends most of the year roaming the Southern Hemisphere in search of hops from New Zealand, Australia and South Africa. That trekking culminates in the development of a perfect blend of hops to flavor this seasonal offering, which changes annually but never fails to impress. Being that The Jackeroo’s flavors and aromas changes each year, we recommend pairing it with dishes from the countries where the hops were procured. Meat pie, anyone? The Jackeroo gallops into our tasting room each October and sticks around until year’s end. The Urchin is a somewhat playful, mostly impish scamp infused with cranberries. Those tight red fruits bring about a tart bitterness that forms a brilliant, harmonic nexus with tanins imparted by the red-wine barrels this Feral ale is aged in. Originally released as part of our annual holiday food drive in 2016, this ne’er-do-well found redemption, helping to raise nearly 24,000 pound of food for the San Diego Food Bank. As one might expect from a beer infused with simultaneously tart, fruity and bitter cranberries, this beer pairs exceptionally with winter holiday fare and succulent roasted fowl such as duck, goose and turkey. The Urchin is currently unavailable but you never know when he might turn up. The Widow is a Belgian-style dark ale with grace the belies its considerable strength. This beer graces the palate with layered flavors of toffee, caramel, raisins and spice plus a complementing roastiness that adds to its perceived dryness. When we drink The Widow we think burger. Check out this “killer” burger adorned with bacon, onion rings, avocado and double-thick Cheddar cheese. The Widow lingers in our tasting room most of the year, particularly during cold-weather months. This India pale ale is brewed once a year in support of the Pink Boots Society. Each edition incorporates a special blend of hops selected each year by leaders of the this professional organization advocating for and educating women in the brewing industry. The 2019 edition of The Brewster is big on citrus and tropical-fruit character, making it a affable companion for raw and citrus-cured seafood. The Brewster is brewed by an all-female team on International Women’s Day and tapped once a year in the spring. The Heiress is our take on a classic Bohemian pilsner. Refreshing and effervescent with a snow-white head, its earthy and floral with a clean, bitter finish. It’s the perfect beer for fans of traditional pilsners…and for converting people whose only reference-point for pilsners are the adjunct versions sold 24 to a box. With its tiny bubbles and cleansing qualities, The Heiress is a cinch when it comes to spicy foods, particularly hot Thai curries. Due to high-demand from our brew-crew, The Heiress is almost always on-tap in our tasting room. The Heiress’ traditional make-up, flavors and aromas earned it an 89-point rating from Craft Beer & Brewing Magazine. The Henchman is a blend of a copper-hued ale aged in used wine barrels for multiple months, then rested on apricots and peaches, introducing a wealth of stone-fruit characteristics that intertwine with cultures and microflora to present a layered and delectable finished product. With baking spice notes and fruity acidity, The Henchman goes perfectly with a slice of grandma’s warm-from-the-oven apple pie. The Henchman is currently sold out, but is plotting its eventual return to our tasting room. Come summer every year, we receive a supply of hops. Each year the delivery is different, and made up of a variety of known and experimental hops. We use all of them in our “Ales for ALS” IPA, which raises money for the charity of the same name in its mission to assist those afflicted with ALS (Amyotrophic Lateral Sclerosis). Since the hop-bill for The Apothecary changes yearly, the dishes it pairs with change from year to year, but it’s always a refreshing foil for Mexican food from our cross-street neighbors at Yesenia’s. The Apothecary is released once each year in the summer. Thanks to our generous fans, it tends to go quick, so get it while the gettin’s good! Pilsners are ideal counterparts for a variety of shellfish dishes, and with its exceptional hop bite, The Mistress is well suited for a short-lived romance with a classic lobster roll. The Mistress is elusive, but you can find her lurking about in our taproom more often than not. The Savage comes on strong and sudden with pronounced oakiness from prolonged aging in used wine barrels. That woodiness coalesces beautifully with wine tannins and the stone fruit character of sour cherries to produce a deep brown quaff akin to a Flanders-style ale with a delicate balsamic tartness and hint of spice. Stews made from braised, gamier meats such as venison go well with The Savage because of its woodiness and foresty cherry notes. The Savage is currently available in 500-milliliter bottles, exclusively in our tasting room while supplies last. The Savage’s accolades include being named one of the Top 25 Beers of 2017 by Wine Enthusiast Magazine (#14 to be exact), being named among the world’s Best Sour Beers with a score of 94 points from Craft Beer & Brewing Magazine and earning Best Beer of the Week honors from DRAFT Magazine. Like a randy bachelor, monogamy does not suit this beer. Each time it is brewed, we pair a base IPA recipe with a new hop varietal in order to thoroughly explore its unique characteristics and better understand that hop for future utilization. Consider each edition as a most delicious form of research. Click here to learn more about The Bachelor. Because The Bachelor are ever-changing, so too are the scents and tastes determining its pairability, which is why we often pull in the chef featured in its silhouette, Toronado San Diego gastronome (and active bachelor) Nate Soroko. The Baroness is regal in her simplicity, a straightforward, refreshing lager relying exclusively on beer’s four core ingredients to deliver a thirst-quenching, extremely balanced and quaffable experience, the likes of which appeals to craft newcomers as much as longtime connoisseurs. The Baroness’ light body and delicate blend of flavors make her an ideal accompaniment for vinaigrette-dressed salads stocked with seasonal produce and mild cheeses. The Baroness occasionally sojourns in our tasting room with her entourage in tow. The Thief owes much of its bright, vinous flavor to Grenache Blanc grapes that were grown and harvested by San Diego County’s Vesper Vineyards, before being swiped, spirited away and submerged into a gracefully maturing blond ale. The resulting award-winning quaff is one which combines the very best of two fermentationary plains: local craft beer and local wine. Click here to learn more about The Thief. The white-wine character of The Thief makes it the perfect foil for edibles that pair with the likes of Grenache Blanc or Chardonnay, such as steamed mussels, halibut or butter-poached lobster. The Thief is currently sold out, but should return following the next vineyard harvest. The Thief’s long list of accolades include winning a gold medal at the World Beer Cup (Mixed Culture Brett Beer, 2018), a bronze medal at the San Diego International Beer Festival (Belgian-style Sour Ale, 2016), nabbing a 96-point score from Craft Beer & Brewing Magazine, earning a “Highly Recommended” classification from Celebrator Beer News. and being named one of the best beers at the 2017 Firestone Walker Invitational Beer Festival by Paste Magazine. An unquenchable yen for exploration and sensory trysts drives a never-ending array of hop varietals into our single-hop lager. Each time we brew this beer, we utilize a different hop—be it Old World, New World or experimental—in an effort to best understand and appreciate each varietal’s unique characteristics. Though the hop-borne scents and flavors of The Bachelorette change each time, the stony minerality from our lager yeast always pairs nicely with freshly shucked oysters. Our barrel-aging vault is flush with possibilities, many of which are celebrating in an unpredictable manner care of this series of exotic creations which pop up on our tasting-room menu from time to time. Sometimes fruited and always funky, these Feral ales provide our brewers another avenue for their prowess and creativity. Beers in The Journeyman series go on tap as soon as they’re ready and tend to go quick, so if you see one, make haste! Each year we celebrate Germany’s legendary folk festival by releasing our own version of the Motherland’s traditional Oktoberfest libation. Crisp and clean with floral and mineral notes introduced by lager yeast, it is the perfect form of liquid sustenance for this world-famous fete and the fall season that follows. Die Kellnerin’s roots are firmly planted in the traditions of Germany. As such, it pairs well with Deutschland’s culinary staples, such as artisanal sausages, schnitzel and sauerbraten. Die Kellnerin is released annually on the first day of Oktoberfest and remains on tap in our tasting room until it runs dry. The Roustabout is our big IPA. Medium in body and pale in color, it’s a deceptively strong beer with an intense hop-character highlighted by pronounced notes of citrus and pine. The bitterness is well-balanced leading to a dry finish that makes this an exceptionally quaffable imperial IPA. 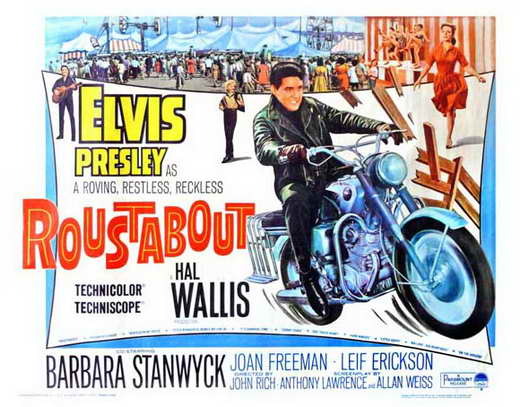 When we drink The Roustabout we remember our favorite Elvis Presley movie. We bet “The King” could suggest an interesting food pairing for us. We aim to brew The Roustabout twice a year and it never lasts long, making it something to seek out when it’s available. The Roustabout’s list of accolades includes a gold medal at the 2013 Double IPA Festival at The Bistro in Hayward, California. More hops than should be afforded on any one beer are packed into every stage of the brewing process for our triple India pale ale, producing a brawny yet fluid quaff with illustrious aromatics of stone-fruit and pine, followed by bold citrus and tropical-fruit flavors. Click here to learn more about The Miser. Though forceful, The Miser exhibits enough balance to allow it to match up with rich foods, such as lobster poached in chipotle-citrus butter. The Miser is one of the rarest visitors to our tasting room, so when he shows up, it’s advised you catch him as quickly as you can. The Haberdasher is an English-style IPA, brewed with all English malts and all English hops. Its substantial malt presence balances artfully with its earthy English hop-bill, making for an extremely drinkable beer that is unlike anything else that we brew. When we drink The Haberdasher we go for something definitively English, for example the “Full English Breakfast” spread. The Haberdasher rotates its way onto our beer-board much less predictably than the Red Coats did that infamous night in 1775.